One look around our shop and you'll see that we're serious about offering our customers a large selection of instruments, equipment and gear. You'll find both new and used instruments, and our top-notch staff are here to help you choose exactly what fits your needs, preferences and budget. If you're interested in learning new skills and techniques, check out the group workshops we host on a regular basis. We cover a wide range of music topics, so stop by and see what class we're holding next. Can't make it in? Give us a call at 505-889-6300, and we'll be happy to answer all your questions. Guitar Center Albuquerque provides comprehensive guitar repair services for the Albuquerque area. Our repair technicians are as passionate about your guitars and basses as you are, and we have the experience needed to keep them performing at their best. Whether you need a quick adjustment to make your guitar easier to play, or a complete guitar rebuild, we have the tools and know-how to take care of your instrument. Guitar Center Albuquerque can also help build a maintenance plan that fits you and your guitar or bass needs, including custom setups, restrings and more. We also take care of fret repairs, hardware and pickup installations, upgrades and customizations, bone and graphite services and more. Located on the corner of Menaul Boulevard and San Pedro Drive NE, Guitar Center Albuquerque is just a short drive from the Lousiana Blvd. exit off the I-40. Since opening our doors in March of 2004, we've been making the dreams of musicians become realities. We take pride in our dedication to customer service and our in-depth knowledge of the latest and greatest musical trends. We invite you to come check out all we have to offer at Guitar Center Albuquerque. 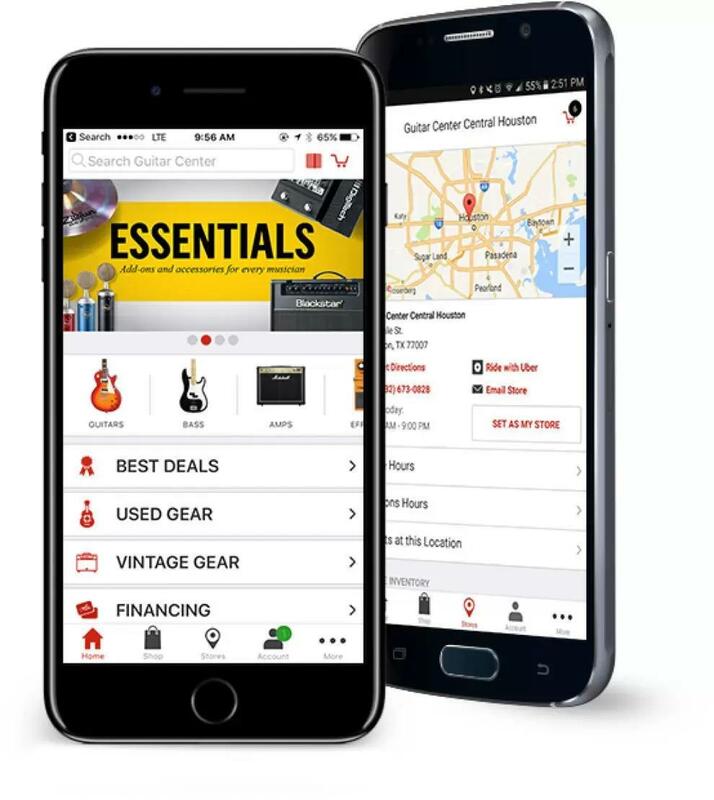 First and foremost in Guitar Center Albuquerque, we strive to give you the experience that Guitar Center is known for nationwide: big-store selection and prices with small-shop expertise and personality. From sales to repairs, our staff in each department is well-trained to cater to music-lovers from all over Albuquerque. Our store is open every day of the week, so there's always a right time to visit even if you're on a busy schedule.